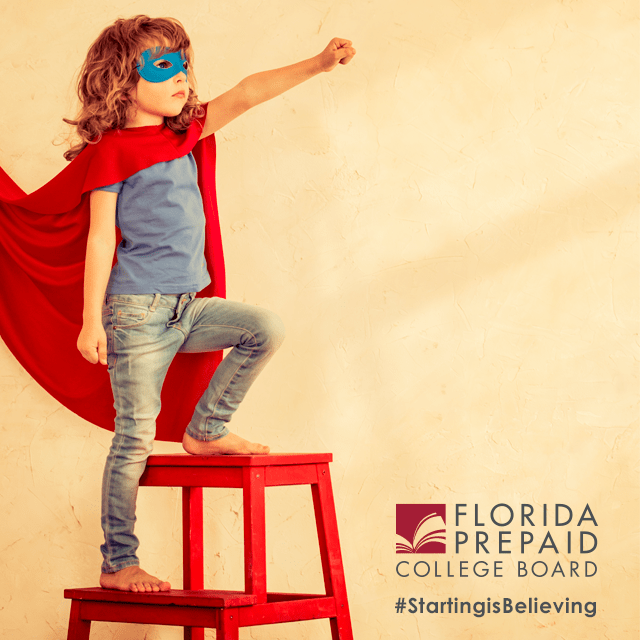 Often I hear various myths around Florida Prepaid and it’s time to dispel a few of them. Myth 1: I won’t know where my child will want to go to college in the fifteen years. Maybe they will want to go to an out of state college, so Florida Prepaid wouldn’t work for me. Truth 1: Florida Prepaid isn’t just restricted to Florida schools; the amount covered by your Prepaid Plan can be used at schools nationwide. Myth 2: My company could move us to a different location around the United States at any time, we might be living in California in a few years. My child wouldn’t receive Florida in-state tuition, if we live in another state. 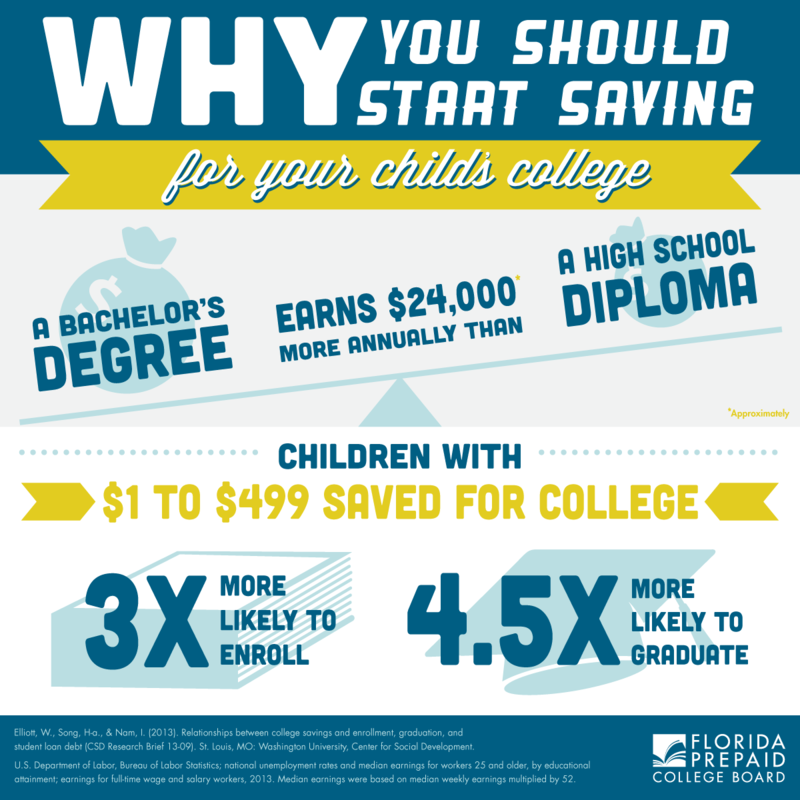 Fact 2: If you move out of Florida after purchasing a Prepaid Plan, your child would still be billed at in-state tuition rates when using their plan at a Florida college or state university. Myth 3: My child might not want to attend college, maybe they will invent the next Facebook or Google while in high school. Wouldn’t I be wasting my money putting it in a Florida Prepaid plan? Truth 3: If your child doesn’t go to college, you can change the beneficiary of the Prepaid Plan or get your money back. Plus if you child invents the next Facebook or Google, are you really worried about money? Myth 4: I want to start saving for my child’s college education but they are already eight years old, it’s too late. Truth 4: It’s not too late. There are a variety of different plans available for a variety of cost. Remember setting aside up to $500 to get them started will make them 3 times more likely to enroll and 4.5 times more likely to graduate college.